Upcoming young actor/director/producer Joseph Gordon Levitt covers the August Issue of GQ Magazine. 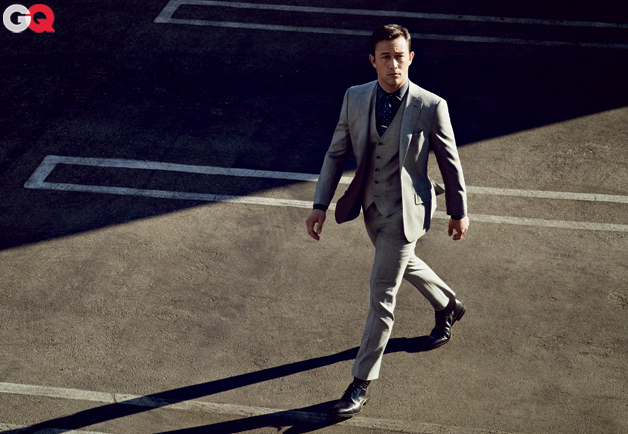 The 'Inception' and '500 Days of Summer' star dons three piece suits for the British fashion inspired spread. Looking dapper as usual, Levitt can be seen in the Summer Blockbuster 'The Dark Knight Rises' and 'Looper' and is also currently filming Don Jon's Addiction opposite Scarlett Johansson.